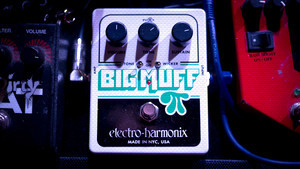 KitMonsters – Electro-Harmonix Big Muff Pi. The music makers’ guide to making music. 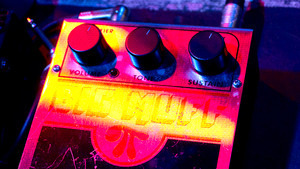 An incredibly significant fuzzbox, this is arguably Electro-Harmonix’s most famous distortion pedal. 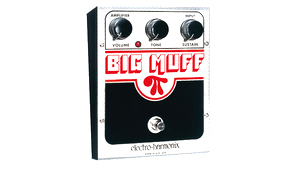 Known for its rich overdrive, harmonics and creamy violin-like sustain, it has been defining the sound of rock for over 40 years. 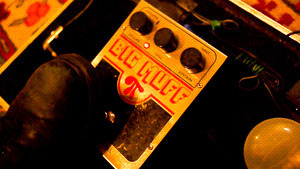 The three controls, Volume, Tone and Sustain are simple to use but provide a whole array of sweet tones. 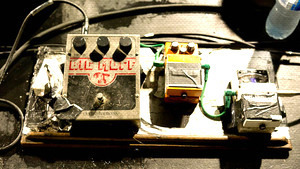 David Gilmour and Carlos Santana famously used the pedal for their solos, as well as alternative rock heroes Smashing Pumpkins, Dinosaur Junior and Sonic Youth. 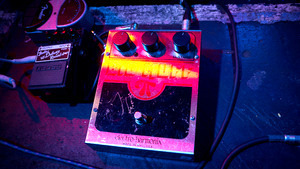 A physically large pedal, Electro-Harmonix now make a mini version for the more space-conscious pedalboard owners.